They say a rising tide lifts all boats — that certainly seems to the goal of Alabama 1st District Rep. Bradley Byrne and Colombian Ambassador Juan Carlos Pinzón, who are meeting this week to further develop a lasting trade partnership between Southwest Alabama and the South American country. Pinzón arrived in the Port City Tuesday for a two-day visit hosted by Byrne. 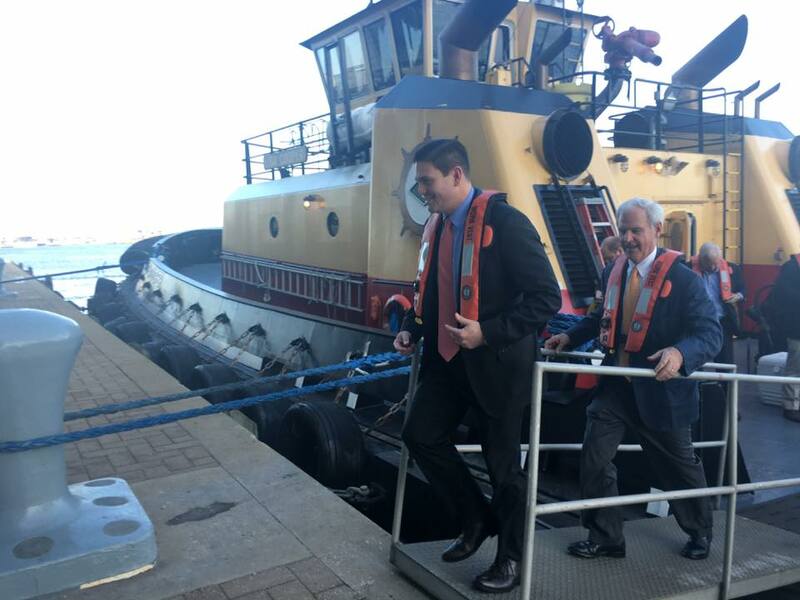 During his stay in the Yellowhammer State, Pinzón will visit local businesses, speak with community and business leaders, meet with students and faculty at the University of South Alabama and tour the Port of Mobile. In 2015, Alabama exported to Colombia a total of $187.2 million in goods that ranged from machinery and transportation equipment to chemicals. In that same year, Colombia exported to Alabama a total of $176 million in goods, which ranged from minerals and ores, to plastics and rubber products. In addition to Byrne, Ambassador Pinzón is meeting with Mobile Mayor Sandy Stimpson, business leaders from Airbus, Austal USA, the Alabama Port Authority, and the Mobile Chamber of Commerce. The ambassador also will speak about U.S.-Colombia relations; and study abroad programs and internships at the University of South Alabama; and he will discuss philanthropy and charitable giving at the Community Foundation of South Alabama.